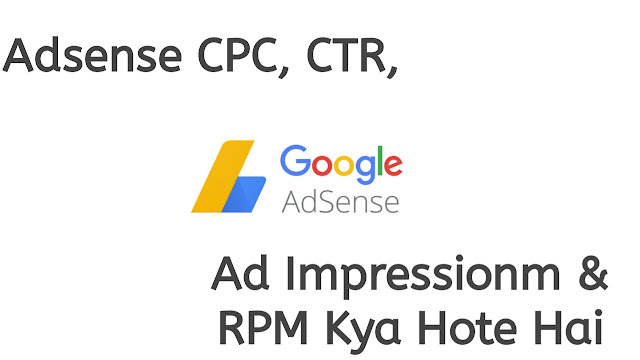 Adsense CPC, CTR, Ad Impression & RPM Kya hote hai(क्या होते है)? - Technical Mahaur - Learn Something New Everyday in Hindi! Home Money Adsense CPC, CTR, Ad Impression & RPM Kya hote hai(क्या होते है)? CTR का Full Form होता है ”Click Through Rate” और इसका मतलब होता है की आपके blog पर जो ads show हो रहे है, उनपर किस Rate से Click आ रहा है. CTR को हमेशा % में Calculate किया जाता है.